Don’t worry… All hope is not lost. There is hope for you in the end. You can sit right there at home and become rich? I know this sounds fake. But its real. 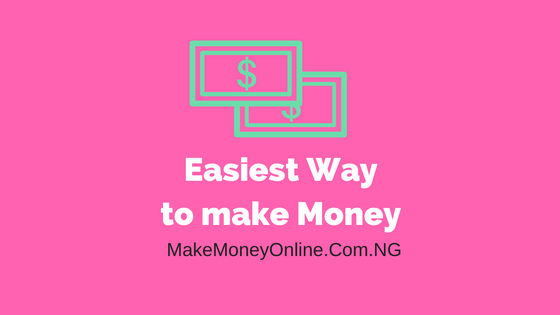 You can make money online right at the comfort of your home. I am a living testimony about this fact. I will tell you categorically clear that since I finished my NYSC back then in 2012, I have never done my CV, not to even talk about looking for job. I virtually sit at home and became rich. I got my US business visa the very first time I applied. You know why? There was real money in my account. I mean it. 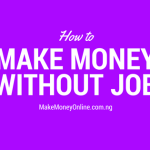 I don’t look for job anymore… Why will I look for job when there is no employer that will pay me over N1Million every month without expecting me to work for 32 hours in a day? That’s not possible friend. Okay, see for instance, this bad economy is not affecting people like Jide Ogunsanya, Paschal Okafor, Darlington Umeh, Don Caprio etc. Them be boss in this online business. In terms of money, I don’t really near them, to say the truth. When I was small, I often dreamt of having a good job that will pay me a huge amount of money. But now my mentality has changed. Back then in 2012, I did just one thing that changed my life… I started a blog. 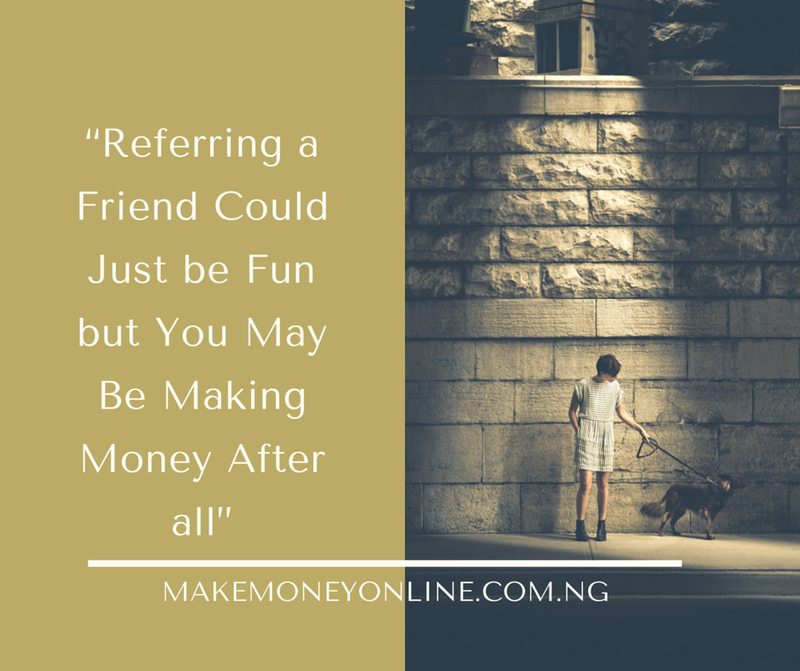 It was just like joke… but after having like 20 failed blogs, I later got some that is now giving me more than N2,5M every month. Don’t mind the amount… I work very hard for it. Now, I can travel to any part of the world without financial contraints. Most surprisingly, I wouldn’t even want to reside on other countries. Instead, I like my country – Nigeria. I must stay here so that I can empower others with this little knowledge that will change their live for better. Just because of that very Bluehost, I now have the opportunity to win presentation contracts at seminars, create/manage websites and blogs for other companies and individuals and most importantly, changed my financial status. So, what are you waiting for? I often said… If you are currently waiting for job, try and do something while you wait. 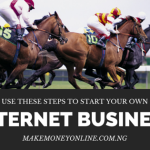 Sit at home and make money from the internet. With blogging, you can build an audience that you can use for something else in the future. 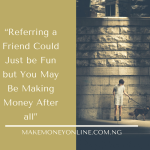 You can make money from your audience by advertising to them, you can provide services for money, you can sell physical products and make money. Most people complain a lot that they cannot blog because they don’t know how to write. But that’s not an excuse. Many Vietnamese and Chinese bloggers who do not even speak better English than you are making it big. I earlier published a lesson on how to get a successful blog even if you don’t know how to write. That post revealed many success guidelines you could benefit from. Even myself, I don’t speak better English, but the little I write and publish attracts attention. So you don’t have any excuse not to blog. 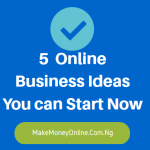 Apart from blogging, you can offer services to others at the comfort of your home, Many Nigerians are making it big from American Companies. The sit at home and become rich working for freelance sites such as Fiverr, Freelancers, oDesk and others. Many Nigerians like you are busy selling gigs on Fiverr. Most of them make as much as $2,500 every month. Convert that into Naira with the current currency conversion rate and see how much that will be. 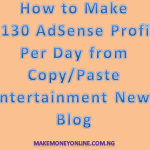 See, I make at least N500,000 every month by creating and hosting blogs for other people. If you want me to enjoy your money too, you can hire me now. I assure you quality service delivery. 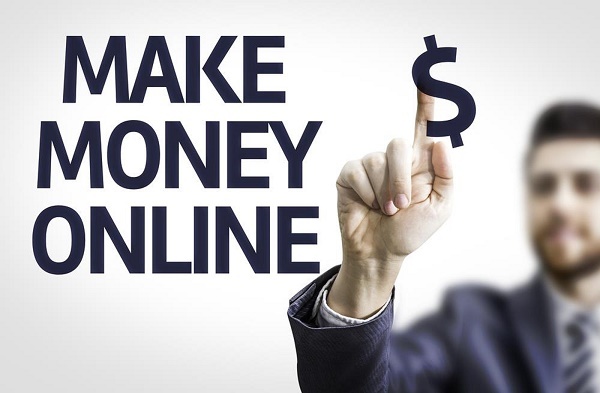 There are thousand and one services you can provide online and make money right at the comfort of your home. Do you know that information is a very big source of money? Do you know that over 240 people have bought my first eBook so far at the rate of N2,500? If you calculate, that is about N600,000. This amount is very small compared to what others are making in other lucrative niches. Information marketing in the form of eBook or videos sell like mad. 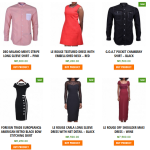 The reason is that the delivery is easy and payment is prompt. People are searching for information on daily basis. Some are even desperate that they can pay you like N1Million for it. I mean it. I have a friend who is currently selling a eBook on “How to start a TV Station in NIgeria” for N100,000. The eBook provide guides on hhow to setup a TV station from ground breaking to approval and launching. This is just 124 pages eBook. He make an average of about 12 sales every month. Very serious investors buy this eBook from him and even contract him to consult till the completion of the work. Another interesting part in information marketing is that you can still make money selling eBooks online even if you don’t own an eBook. You can make money selling private label right (PLR) ebooks. PLR eBooks allows you to sell the eBook and keep the money as if you are the author of the book. Why am I saying all these? The reason is that your world has not ended because you don’t have a job. 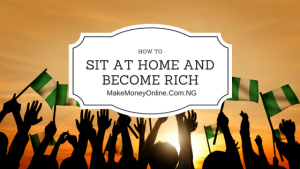 Instead you can sit there right at your home and become rich if you use your head very well. These ideas will make you rich if you do them well. There is no risk, only that it’s not a get rich quick strategy… You will have to wait while you nurture it to become a money milling machine for you.